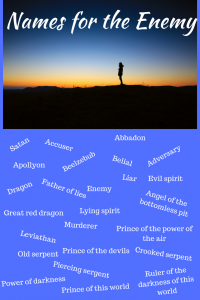 Lies the enemy tells: who exactly is the Christian adversary? Who Exactly IS the Enemy? When I first became a believer in Christ, I didn’t think about a spiritual enemy plotting lies against me. I wanted eternal life and wasn’t in a church focused on discipleship. I thought my act of faith was the heavy lifting in my Christian experience. I’d just continue living my life the way I’d lived it before and God would wave some magical/supernatural wand causing all my problems to disappear. I’ll wait while you laugh at me. I know. It’s humorous now, but, also, it’s not at all funny because SO MANY new believers fall into the same trap! There are many great discipline building churches out there (and I’m thrilled to be a member of one now), but that wasn’t the church I found at first. Thinking there was an “enemy” out there seemed overly dramatic. I mean, come on! I’m a suburban wife and mother. How would I even gain an adversary? Well, the minute I picked a side (go Team Jesus!! ), I did. And, if you’ve joined His team then you have too, but don’t fear. God has provided all the tools we must fight our adversary. So, just WHO is this enemy Christians speak of so frequently? The Bible has many names for him. The enemy or Satan, devil, adversary, thief, or however you address him (There are over thirty words to describe him in the Bible) is a real entity who does NOT want us to have the freedom and joy found only in Christ. His goal is to separate us from Christ (good news is that he CAN’T succeed!) and he uses whatever tools are at his disposal. Over the next several weeks, we’ll discuss the various ways he’s whispered lies into my ear and the ears of other believers. We will counter those lies with God’s truths! Join me as we uncover the lies of the enemy! 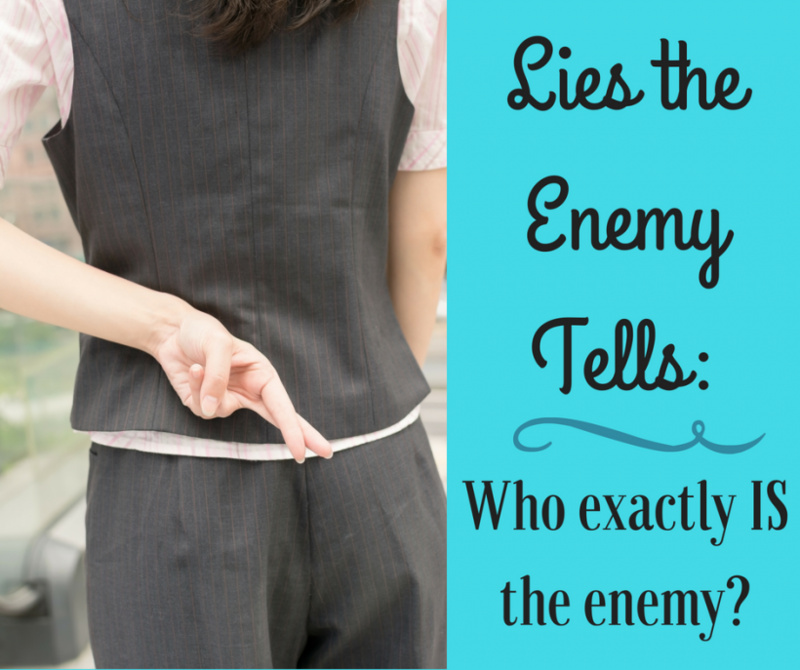 Read here for some types of lies the enemy tries to tell. How Are We Building God's Temple Today? His timing ALWAYS is, my friend! !